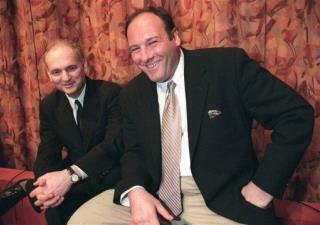 (Newser) – In honor of the 20th anniversary of the premiere of The Sopranos, coming up Thursday, series creator David Chase sits down with the New York Times for a Q&A—and reveals he's "just bored with" the question of whether Tony Soprano died in the show's final scene. "I also feel like, Jesus, there were 86 episodes and you’re fixated on that? Can’t we talk about something else?" In response to interviewer Jeremy Egner's observation that there's "some hope" in the finale's last scene, which ended with an ambiguous cut to black, Chase notes, "You’re the first person who’s said that." We missed the part where somebody screamed out and said: "Who cut the f-ing power"? I miss James Gandolfino. He was great in that part and should have lived a lot longer to enjoy his success. Wish people would focus on more than the ending? Then end it properly moron. He took the cowardly, easy way out.